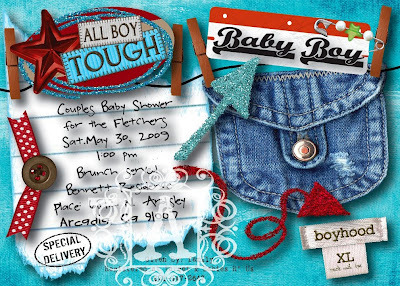 Photo Announcements by Andi: Baby Boy Showers! As much as I love to get into the girl, bling thing . . . I do have the boy zone on the brain. I love boys and am ready to go creating fun shower ideas & invites! My Inspiration for this card came from this cute idea. 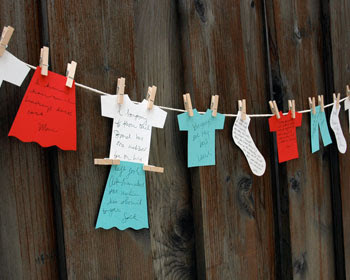 They wrote cute little advice notes on these cute laundry cut-outs!